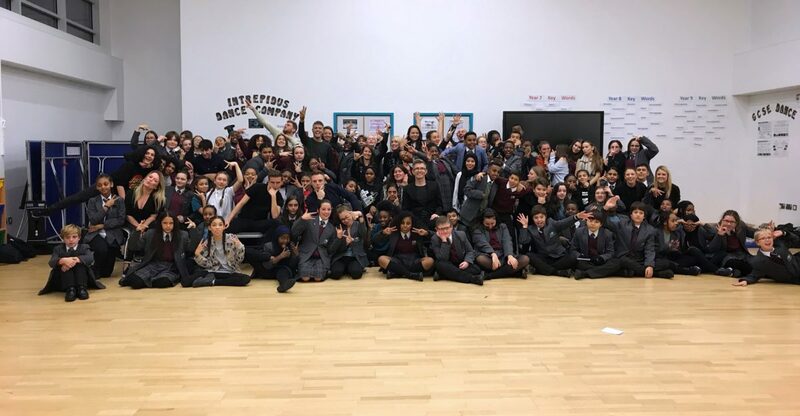 In 2018, Choirmaster Gareth Malone was invited to help staff and students prepare for a special concert in our theatre to mark the school’s return to our Silchester Road building. Gareth began working with KAA students in the summer 2018 term and quickly realised many are heavily influenced by hip-hop, R&B and spoken word. Keen to attract as many students as possible to get involved in the big show, he enlisted the help of the West End cast of Hamilton. On Wednesday 26th September students writing the show with Gareth were joined by the Hamilton musical director and cast members for a day long workshop to develop lyrics, dance, and drama elements of the show. Students involved in writing workshops were also invited to a matinee performance of Hamilton at the Victoria Palace Theatre which truly inspired the KAA cast and choir! 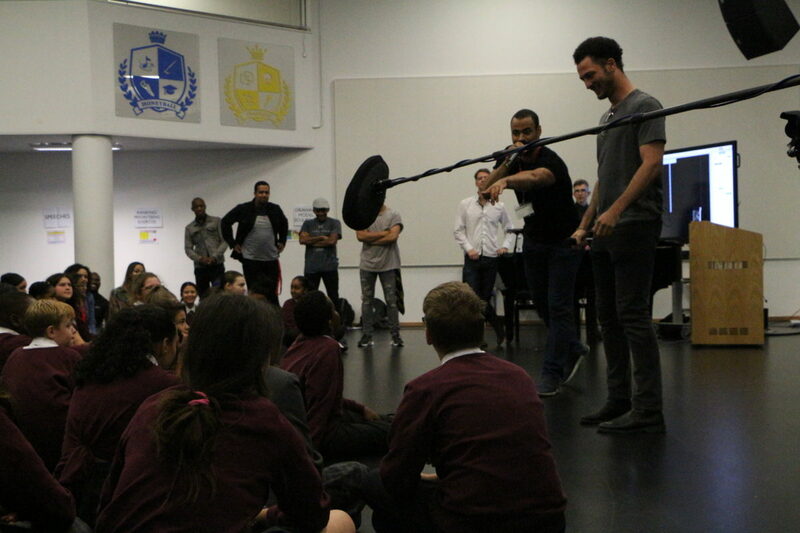 With students inspired to tell their story through performing arts, the project developed into a student-written musical telling the story of KAA from it’s creation to the present day. Dance, drama, and songs told the story of the building of KAA, students’ first memories of school including house competitions and charity week, the moment of the Grenfell Tower fire on 14th June and its impact on the school community, the school’s relocation to Portakabins, KAA’s outstanding Ofsted inspection and finally our return to KAA1. The show’s big finale expressed students’ hopes and dreams for the future. Almost 600 students, parents, teachers, and members of the community came to see Our Story across two sold out nights on 21st and 22nd November 2018 and were blown away by what our students had produced. 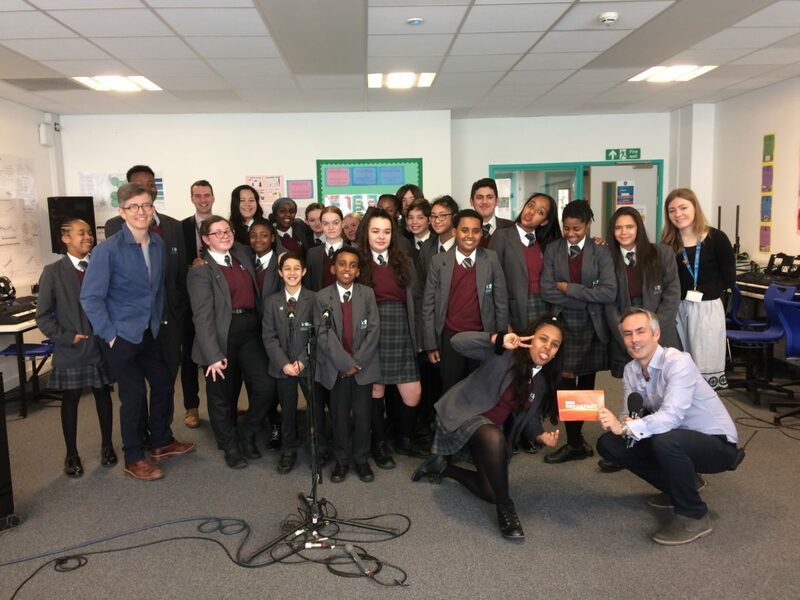 In the weeks leading up to the show airing on BBC2, students appeared in a range of print and TV media alongside Gareth Malone. Highlights include a visit to the BBC The Show studio on Tuesday 5th March, where Suad (11 Balon), Maisie (11 Simmons) and Mr Benson spoke to Matt Baker and Alex Jones on the sofa before the choir sung out the show with a live performance of “We’re Stronger”, a song from the Our Story show written by Tyra (10 Baker). 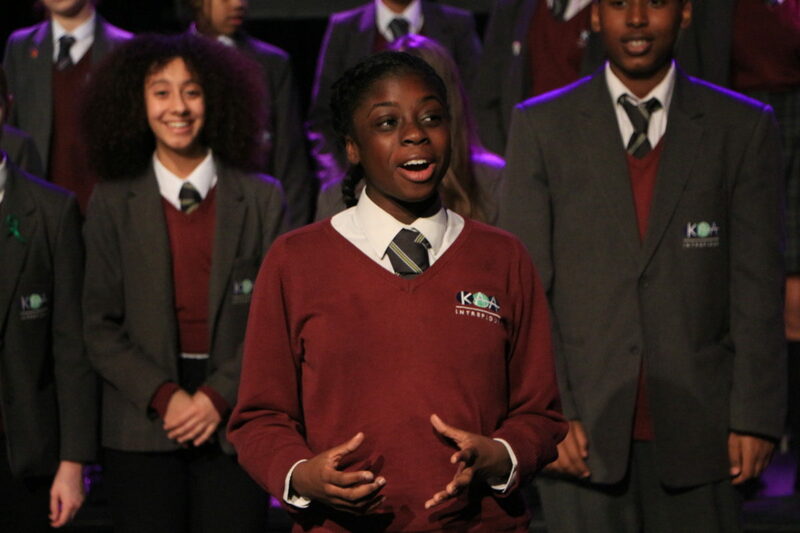 On Monday 11th March, the morning before the first episode aired, BBC Breakfast visited KAA and the choir sung live on national television for a second time. 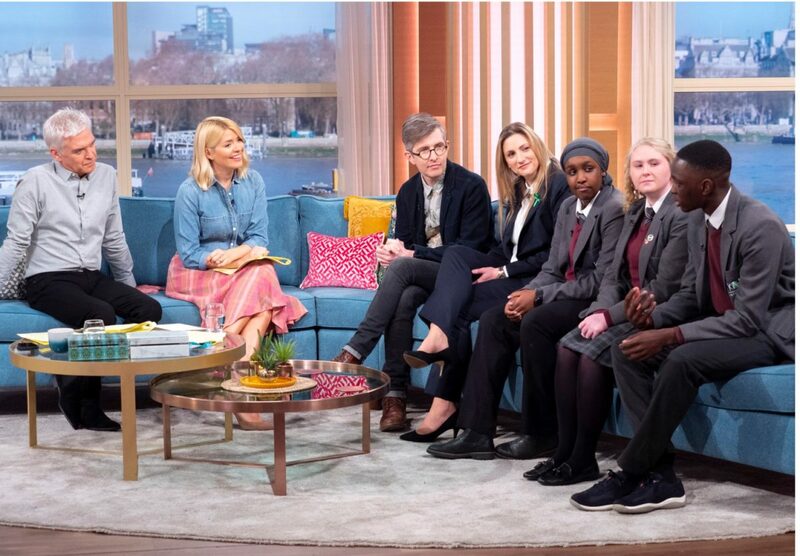 Ahead of episode two, on Monday 18th March, Suad (11 Balon), Maisie (11 Simmons), Jeriel (11 Kidston) and Miss Jordan joined Gareth on the sofa at ITV This Morning with Phillip Schofield and Holly Willoughby to talk about what it had meant for students to take part in the homecoming Our Story concert. The show was watched by over 1.5 million viewers on BBC2, with this number increasing to 2 million with views over iPlayer. Audiences were blown away by the talent, resilience and maturity of our students and the powerful story they had to tell, with many writing to the school or tweeting about the show. Our thanks to Gareth Malone and the cast of Hamilton for helping our students to create such an amazing show to express themselves through. For more pictures of the show, visit our gallery page. It was inspiring, humbling simply amazing. Wish I had been there! I watched this programme and was moved to tears by the end of the show. The finale was fantastic and complete triumph for the children, staff, Gareth Malone and the influence of the brilliant Tokyo Miers!